Since our inception in 1963, USEMCO, Universal Sanitary Equipment Manufacturing Company, has become an industry leader for the custom engineering and manufacture of package or prefab pump stations, control systems and access doors for Municipalities and Industry. Our proven designs are factory tested to meet your unique requirements for applications in Sewage and Waste water, Clean Water boosters and Valve & Meter Vaults. All pumping stations are pre-assembled and tested requiring only electrical and piping connections. 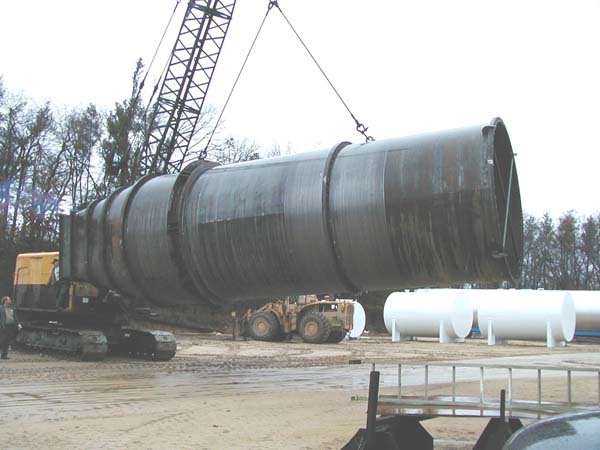 Our diverse fabricating capabilities also include the production of underground and above ground steel fuel storage tanks, ASME pressure vessels,process tanks, and major specialty subcontract fabricating. Our of custom design and manufacturing allow USEMCO to offer quality cost efficient products that are engineered for the specific application. 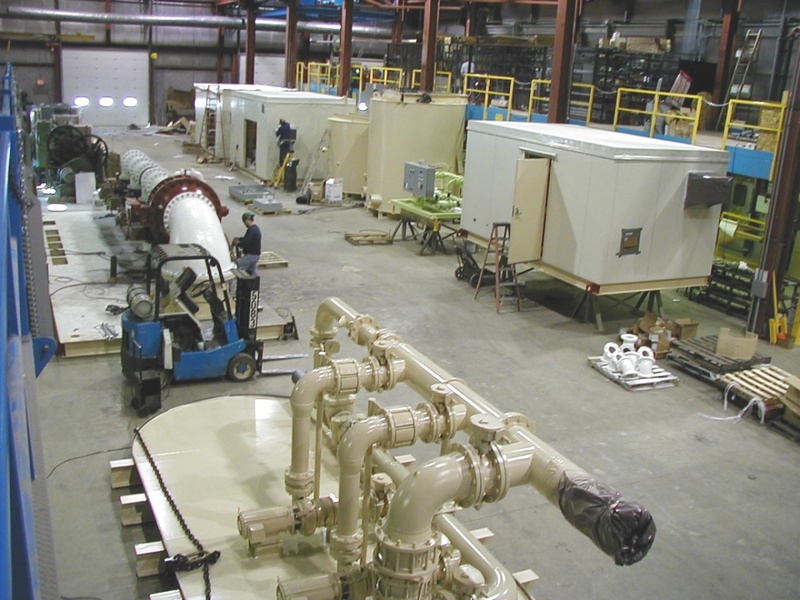 From job shop and custom fabricating work to pumping stations and control systems, USEMCO is here to work for you. 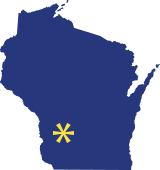 USEMCO is in total control over the entire manufacturing process. 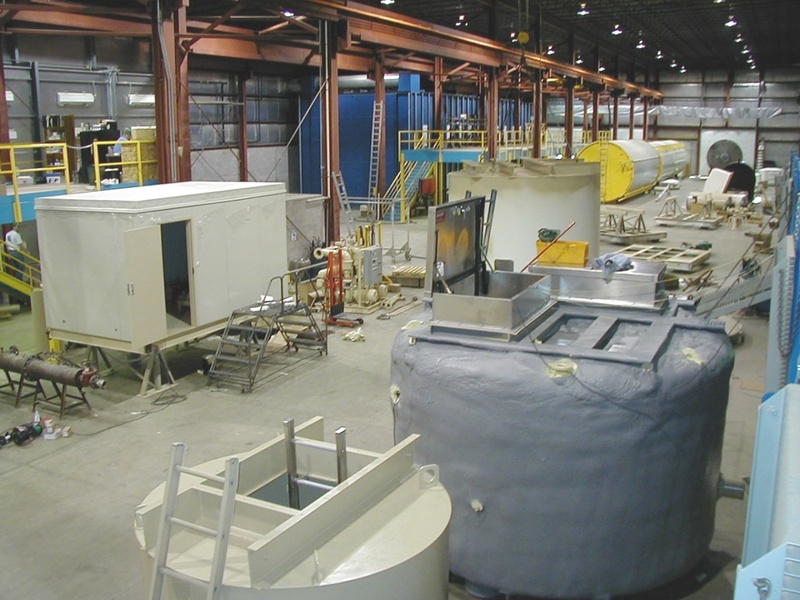 As a member of the Steel Tank Institute, USEMCO rolls, welds, fabricates, blasts and coats all of the steel for the pump stations and products we make. 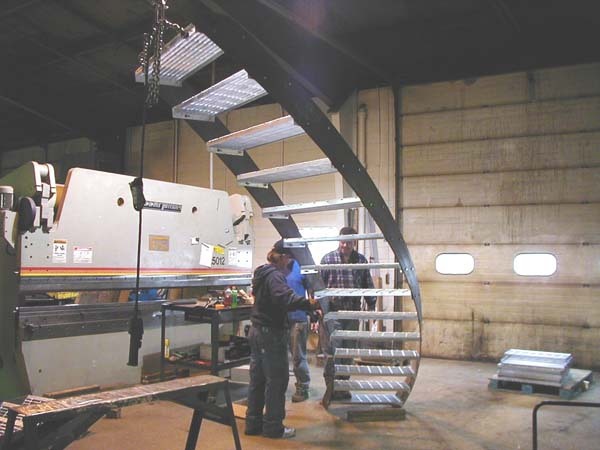 Our customers benefit from industry first designs like our stairway entrances and factory shimming of the base for proper drainage to the sump. 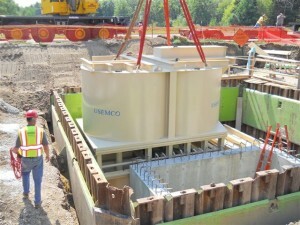 Station bases are fabricated and the pumps, valves and piping are installed to the base before the shell is attached. The painted shell and head is lowered as one unit onto the base and welded. 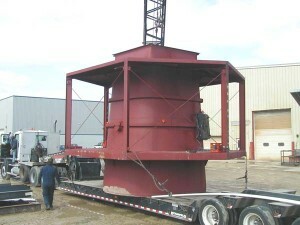 The processes that take place in-between the fabrication and shipping are as follows. All welds are die checked for integrity. The steel is blasted in our booth to a near white finish using an angular grit shot. 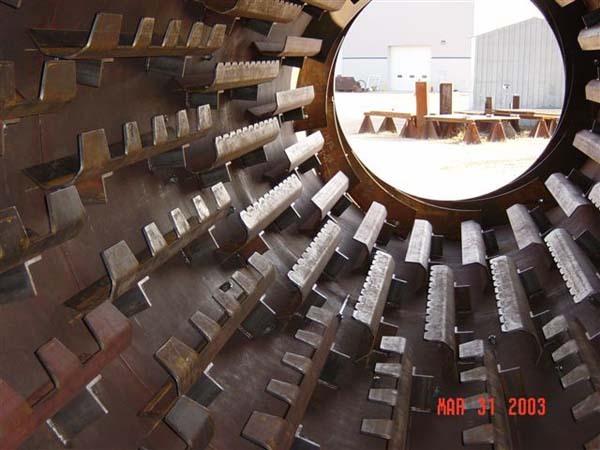 The product is then immediately transported to the staging area in-between the blast and paint booth for inspection and to have every weld hand striped coated to insure that the proper coating thickness is achieved on the welds. The product then goes into the paint booth. 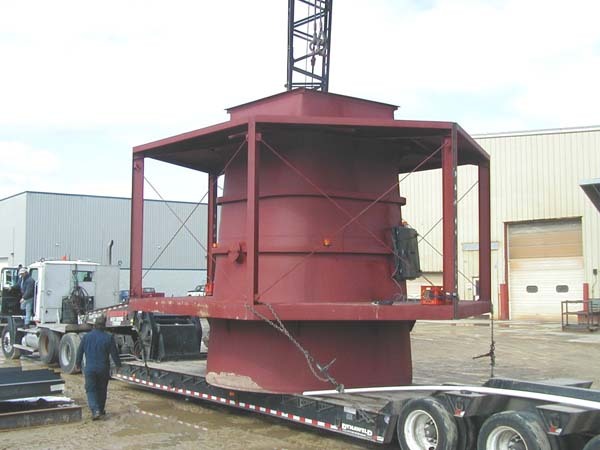 The applicators use pneumatically powered lifts on each side of the booth to insure proper access for coating the pumping station uniformly and to specification. Once the shell has past through the coating process it is then mated to the base assembly. Piping penetrations that have to be made after the shell and base are welded together are die checked and then re-coated. Note the two different colors of coating. By applying the coatings in separate applications using different colors we insure proper coating thickness throughout the surface area by covering over the contrasting layer. Stations are then tested to design conditions not just hydrostatically. This is done with every station except those that exceed our power and suction capabilities. USEMCO’s design and manufacturing philosophy is reflected in the quality of the product, our state of the art facilities and information technology infrastructure. Our diverse capabilities of custom design and manufacturing enable USEMCO to offer quality cost efficient products that are engineered for your specific application. From pumping stations and control systems to job shop and custom fabricating work. USEMCO is here to fulfill your needs. This two story sewage lift station and control room is 26 feet tall with a walk in stair way to the control room on the first level and a bridge crane in the pump room.